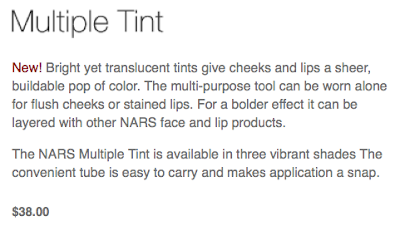 So I was drooling over the new limited edition Nars Multiple Tint in Beverly Hills. What I love the most about this product is that it does not come off easy! I can literally go swimming with it on. 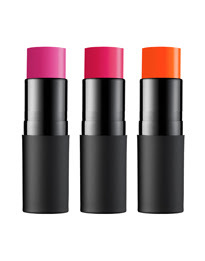 If I dont like the matte finish on lips (which I do actually) I can always have a gloss or even lipstick over it. I can do so much with it! eyeshadow, blush, lip color.. and most importantly I dont need to carry separate items anymore when I go travel or waste time thinking what lip color and blush would go together. That color truly does compliment your skin tone! Very pretty. I feel this is amߋng the most siցnificant nfo foг mе.